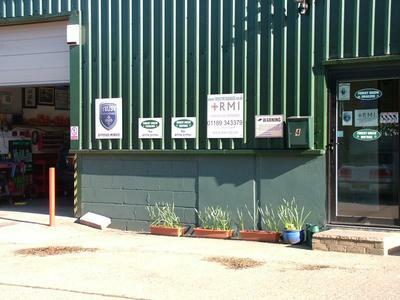 We are a small family run garage located in Shurlock Row established in 2002 who take pride in offering old fashioned customer service along with car servicing, repairs, spares and accessories at popular prices. MOTs for class 4 and 7 can be arranged. We are members of RMIF, rated at 5 stars by customer feedback and also by audits for Trust My Garage. We work to the required customer and manufacturer standards every time, with many of our customers returning time after time! My reviews can be viewed on my page at Trustmygarage.co.uk by entering our postcode in the search box. We have CTSI approval with RMIF. We also offer tyre fitting, balancing and exhausts, use the latest diagnostic equipment, and will also fit towbars as well as being able to undertake servicing and repairs on trailers. Trailer parts and accessories are available. We supply Town and Country seat covers and we offer a tyre treatment to stop you being stranded by punctures. There is customer parking on site. If you have any questions or would like some more info, we would be pleased to help and are only a phone call away on 01189 343379!